South Florida Blog for Fashion & Lifestyle | Frugal Flirty N Fab! : Effortlessly Chic Tuesdays! 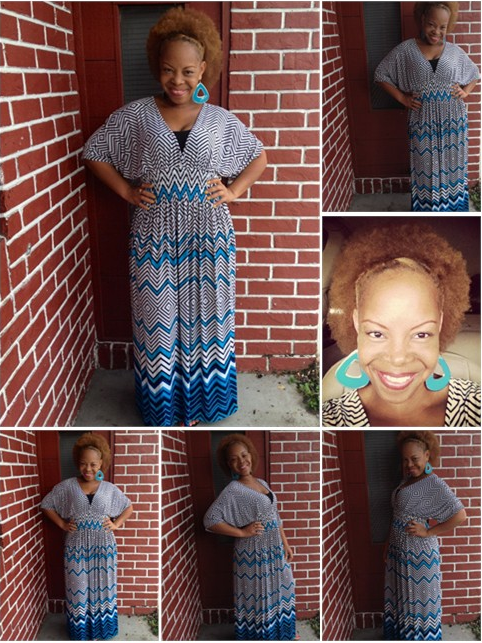 There's nothing sexier or more tres' chic than a maxi dress that hugs your body in all the right places and makes a woman feel like a woman! Cost doesn't matter as long as it makes you feel good and gives you that extra morning umph to walk in the building with your head held high knowing today is another day you'll take the world by storm! Keep that feeling in mind as we look at my Personal style, Effortlessly Chic Tuesday look of the day! Wasn't sure if I wanted to discuss the price of the look I'm wearing today for fear of the "she's cheap" backlash! But as of today I shall no longer fear fully educating my readers on the costs of what I consider to be my Frugal Flirty N Fab finds and ask, "Is there such a thing as a look that's too Cheap"? Backlash for outfits being too cheap?! People are crazy, the only thing that matters is that the outfit doesn't look cheap or poorly made. Job well done! I couldn't agree more Joana and I pride myself on spending less but looking and feeling like a million bucks which is the important thing! Thanks Tammy this is one of my favorites! Tessa B Thanks for the show of support my friend, You're the Best and Happy Blogging! Style is style at any cost, this dress is fab I want one! Lol. You look fantastic and if anyone says anything different because of the cost boo on them.